The season six finale ended on a cliffhanger, with Gil Bates giving Bobby Smith and Evan Stewart the green light to proceed to the next step in their relationships with his daughters Tori Bates and Carlin Bates. What happens next? You'll have to wait and see! Last week, we announced the "Bates Secret Special" that UP has planned. We just wanted to let you all know that it has been postponed to next Thursday, September 28th. More details coming soon. Hard to keep a secret when its on a schedule! But the TV schedule just says "no information available" for the episode description, so they're keeping the secret pretty well. He did, why is that confusing? That would truly be the best news! I can't wait to find out! My guess is Kelly is pregnant. She's 50 years old. Highlyyyyyyyyy unlikely unless she got IVF, and I think that's against her beliefs. How have I missed this show? Isn't that still airing on TLC? I've been waiting for new season and now I see it's the finale. What station is it on now? Maybe I can look in demand and see past episodes. It's on UP. Most basic cable packages don't include the channel, but it's available on DirecTV if you get one of the slightly upgraded packages. Where is Josie and her special guy friend in this picture? I know Alyssa and John live in Florida so they aren't there but what about Josie? In the episode, Josie stayed home because she was taking college courses over the summer and couldn't miss class. Josie had to stay at home and finish summer school. Did you watch the episode? Enjoying and Blessed to be able to watch this show. 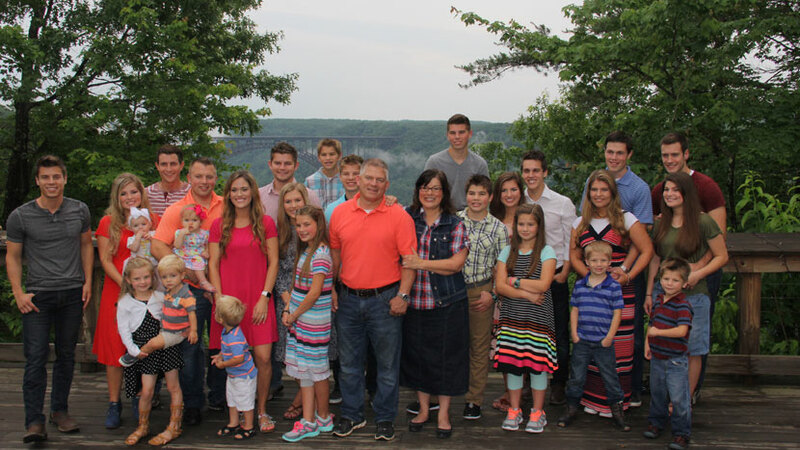 The Bates and the Duggars are a joy to watch. I also send up prayers for Michaela that God will Bless her with a very special child. Much love to all.